Capcom's Senior VP Christian Svensson explains the process behind "Westernizing" a game series. Some Westernized Capcom games turn out great. The recently rebooted Devil May Cry was praised by critics for the developer's efforts to take the best elements from Western game design and use them to make a game that's a mash of two cultures. On the other hand, 2009's Bionic Commando tried to do the same thing but was released to mixed reviews and sold poorly. Capcom's Senior VP, Christian Svensson offers us a little insight into the Westernization of a Capcom game series. "Both of those [Devil May Cry and Lost Planet 3], and some of the prior (like Bionic Commando) were driven by Inafune... now departed," Svensson told forum users when asked why particular game series were Westernized. "You'd have to ask him but as I recall, the logic was something along the lines of 'doing the same thing is going to get us the same results (if we're lucky). Let's try something from a different perspective.' In some cases, a Western one." He went on to differentiate between games that are built from the ground up for Western audiences, and existing games that are simply localized for the west. "There are several franchises and series we don't try to change at all for Western audiences. 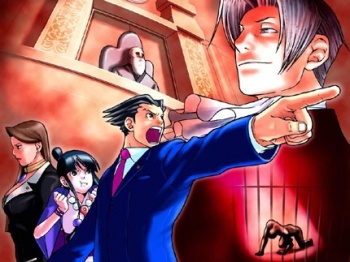 Ace Attorney, Sengoku Basara, Monster Hunter all come to mind as examples." Svensson doesn't feel that an Eastern style game "caps" its sales potential in the US, and that it all varies widely from game to game. Sengoku Basara is a prime example of a Japanese series that just seems doomed to failure in the US markets. Svensson says the original Sengoku Basara was renamed Devil Kings and had some of its more tedious history segments stripped out for it's US release in 2005. The game sold a meager 30,000 copies. "Ok, that didn't work... so let's let a Japanese game be Japanese," Svennson said on the failure of Devil Kings, and when it came time to publish the PS3/Wii version of Sengoku Basara it kept its Japanese name and was pretty much unaltered. The result? "Media wasn't thrilled, preorders were weak, word of mouth was weak which in turn drives the forecasts and resultant marketing budgets and it sold about the same [as Devil Kings] at aggressive price points." But it's not all doom and gloom, as Capcom does hit some home runs in regards to localization. The Ace Attorney series had pretty much all of the main character's names changed, but kept the majority of the other content intact. It went on to sell surprisingly well in the US, and prompted Capcom to localize the other games in the series.